Hunting in the Bear Lake valley dates back to the early settlers, native Americans and mountain men that first laid eyes on this area. Game birds and big game animals thrived in the valley. Today, the majestic Rocky Mountain Elk (Wapiti), the regal Mule Deer and the unique Shiras moose are elusive quarry of big game hunters. These healthy herds of game animals need to be managed through the use of hunting in order to ensure their survival. State wildlife managers carefully review local winter range carrying capacities, the ratio of males to females, and fawn mortality surveys to determine the availability of hunting permits and tags. Popular hunting equipment includes cartridge and black powder rifles and archery equipment such as compound, long, and recurve bows. Other local animals that have hunting and/or trapping seasons include ducks, geese, sage grouse, gray partridge, blue and ruffed grouse, black bears, bobcats, mountain lions (cougars), coyotes, fox, and wild turkey. Occasionally, reports come in with sightings of rare and protected animals such as wolverine, lynx, grizzly bears, (and even Bigfoot! ); however, few sightings are confirmed, if any. True Bear Lake Valley outdoor enthusiasts love and respect the wild resources that we have here. We welcome all hunters and anglers to come and enjoy, however, poachers are not welcome here! The Bear Lake valley is patrolled by both Utah and Idaho law enforcement and conservation officers. Poachers of our fish and game are prosecuted to the fullest extent of the lawin order to protect our natural resources. Eyes are everywhere and poaching misdeeds are reported to the local authorities. If you witness any poaching activities, please call Idaho Citizens Against Poaching at 1-800-632-5999, or the Utah Poaching Hotline at 1-800-662-DEER. 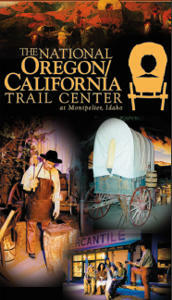 Idaho Fish and Game - Bear Lake Idaho Hunting and Fishing information. Buy hunting and fishing licenses. Idaho fishing license vendors. 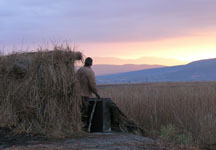 Utah Division of Wildlife Resources - Bear Lake Utah Hunting and Fishing information. Buy hunting and fishing licenses. Bear Lake Hunting and Fishing information. Buy hunting and fishing licenses.